FAQ: How do I change which credit card is billed for my subscription? Q: How do I change which credit card is billed for my subscription? To change which credit card is billed for your subscription, simply cancel your current subscription and create a new one with the new credit card. You can do this any time you need to change any of your billing information. Your current subscription will continue for as long as you’ve paid for, after which your new subscription will begin — we won’t double-charge you. 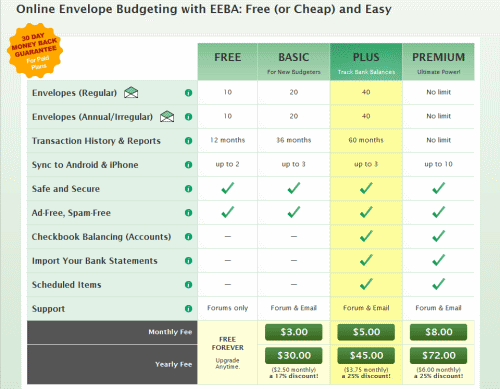 You won’t lose any time with your current subscription, or any data you’ve entered into EEBA. Login to your EEBA account on the web and click on the “My Account” link at the top right of the page. 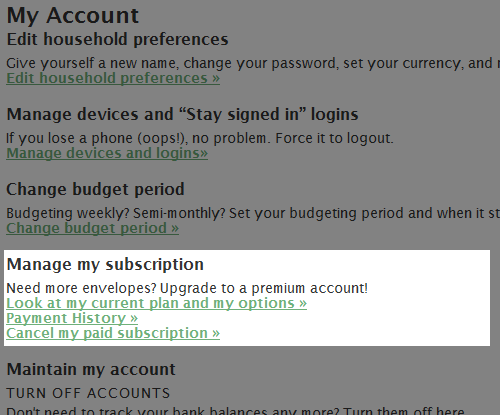 From there, look at the “Manage my subscription” section and click on “Cancel my paid subscription” to cancel your current subscription. Then, click on “Look at my current plan and options.” That will take you to our Plans and Pricing page where you can choose the plan that works best for you. Thanks to Ben, Ellen, Anna, and many others for the question!